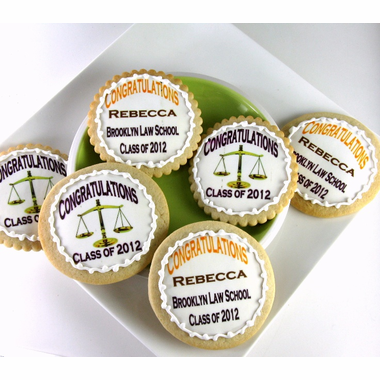 Seeking favors for a law school graduation party? 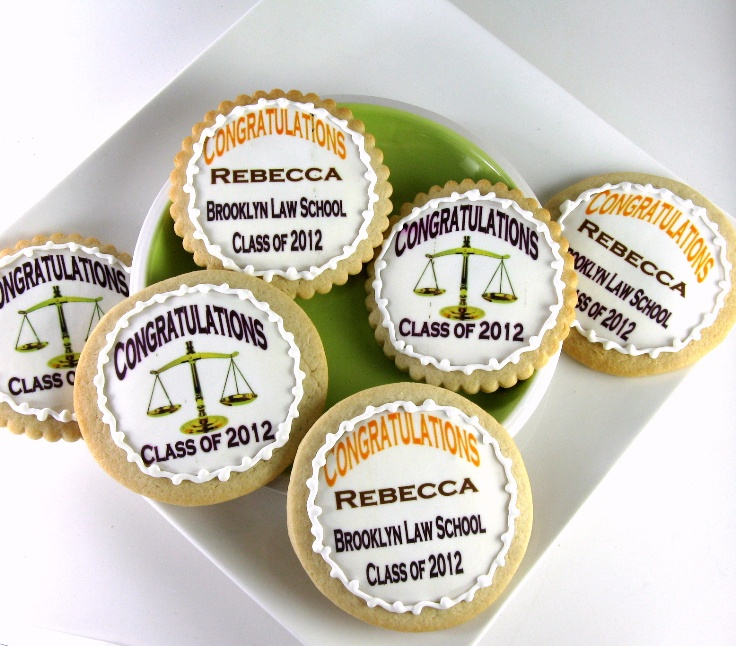 Our law cookies can be used for honoring new graduates or current lawyers. They are great as birthday party favors as well - each comes individually wrapped in a cello bag with curling ribbon. Each cookie measures 4" in diameter and comes with a personalized message of your choice. There are 6 cookies per set. The minimum order is 5 sets.